For the aircraft carrier Ronald Reagan, it’s been a long overdue return to San Diego.Â After 14 months in Bremerton, Washington for extensive overhaul, the Ronald Reagan and its crew of 2,500 sailors returned to San Diego on Thursday afternoon. The homeport change to Naval Base Kitsap was reported in January 2012. The purpose of the switch was for major repairs and renovations at the Puget Sound Naval Shipyard and Intermediate Maintenance Facility. This 14-month maintenance period was intended to ensure the longevity of the Reagan’s 50-year life span. With upgrades to the propulsion engines, rudders, and propeller shafts, the Ronald Reagan will be on track to reaching that target. The Ronald Reagan returned to Naval Air Station North Island in San Diego’s Coronado Island. More than 600 San Diego-based sailors were cheerful to see their families for the first time in over a year. It is uncertain what the Ronald Reagan can expect for work in the near future. With looming Sequestration budget cuts, the air wing assigned to the Ronald Reagan will be closing in April. The crew of the Reagan will still continue to work on the remaining overhaul maintenance on the flight deck in April and begin basic training in May. Naval Air Forces’ Commander Kevin Stephens at North Island Naval Air Station claimed that training schedules are still under examination. Living in San Diego is like living in paradise. With perfect weather, lots of fun things to see and do, and the friendly vibe of San Diegans, America’s Finest City is a great place to visit on vacation or for a short-term stay. When you choose your temporary accommodations in San Diego, you’ll find that it’s hard to compete with the price and quality of Foxwood Apartments. Our 130 fully furnished one and two bedroom apartments provide an upscale resort-style stay with picturesque views, wonderful amenities, and designer dÃ©cor. From kitchenware to bed linens, your temporary housing will have all the amenities you need for a comfortable stay in San Diego. Enjoy a full size kitchen with all dishware included, a living room with cable-ready TV and a DVD player, and a bedroom that’s spacious and stocked with bed linens and fluffy towels. Another perk to our temporary housing? All utilities are included! You’ll also love the gorgeous surroundings of Foxwood Apartments in addition to multiple amenities. The lush greenery and large shade trees transform Foxwood Apartments into a peaceful, country club resort setting. The year-round heated pool and spa are accessible to guests at anytime, it’s just another way to relax and enjoy the beautiful greenbelt garden park of Foxwood Apartments. If you’ve been looking for an upscale temporary housing experience, San Diego’s Foxwood Corporate Apartments will provide you with the comfort and luxurious atmosphere you deserve. Contact us for more information about our temporary housing and the additional amenities included in your upscale temporary apartment. Indulge in decadent San Diego living when you choose Foxwood Apartments as your home away from home. Are you thinking about taking the bus and trolley during your stay in San Diego? Catching a ride with San Diego’s public transportation is anything but difficult when you stay at Foxwood Apartments. With a bus stop just across the street from our temporary housing, you’ll be on your way around America’s Finest City in no time at all. The San Diego bus and trolley schedules will make your trip easy to navigate and convenient to use. The 933 bus is located on Delcardo Avenue next to Foxwood Corporate Apartments. Once you board the 933 bus, you’ll be minutes away from the restaurants, shopping centers, and movie theaters nearby. Within ten minutes from boarding the 933 bus, you will arrive at the Palm Avenue Trolley Station that will connect you to all the unique attractions located in San Diego County. Check out the San Diego bus and trolley schedules along with interactive maps on the public transportation portion of our website. The gorgeous apartments at here at Foxwood will provide you with a great place to stay, a convenient location near freeways and public transportation, in addition to a relaxing environment. 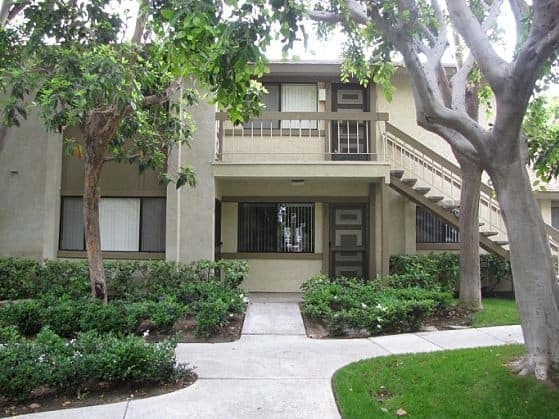 Our San Diego accommodations will ensure that your stay is absolutely wonderful, enjoy the peaceful environment and lush green surroundings while still having quick access to transportation whenever you need it. The bus and trolley system of San Diego has daily and monthly passes for unlimited usage. Make a call to Foxwood Apartments at 866-878-9902 today and we’ll be happy to assist you with any inquiries you may have about our accommodations and the flexibility of San Diego’s bus and trolley system. We look forward to your future stays with us at Foxwood. The U.S. Navy’s Third Fleet, based in San Diego, turned 70 years old on Friday. This fleet was developed during the rise of war against Japan in World War II. The Navy’s Third Fleet has many responsibilities extended across 50,000,000 square miles. The Third Fleet covers areas of the East and North Pacific Ocean like the Bering Sea, Alaska, Aleutian Islands, and a portion of the Arctic. The Third Fleet also carries out critical duties for the economic health of the U.S. including maintaining strong relationships within the Pacific Rim region and communicating with major oil and trade sea lines. The Third Fleet was originally formed at Pearl Harbor, Hawaii in 1943. The first commander of the Fleet was Admiral William â€œBullâ€ Halsey who started rotating shifts with Admiral Raymond Spruance, the commander of the Fifth Fleet. The Third Fleet celebrated its 70th anniversary in San Diego by sending emails to sailors including historical facts and photos of the Third Fleet and displaying signs and posters around San Diego Naval Bases. The Third Fleet will continue to participate in the protection maritime operations and exercises as well as develop strong ties to the Pacific. The Third Fleet is currently comprised of six destroyer squadrons, three amphibious squadrons, and four aircraft carrier strike groups. Let’s face it; sometimes our living quarters can look a bit outdated. If you’ve been searching for the hottest new interior design trends, here they are! Decorating trends have reached a whole new level this year with fabulous color schemes, unique patterns, and so much more. Revamp your apartment for a brand new look that won’t cost you a fortune. Nothing says new like a different color scheme! 2013 has some of the hottest color choices yet with purples, blues, and oranges at the top of the list. Don’t be afraid to play around with colorâ€¦ you can always paint over it with something different. A recurring color trend is to incorporate pops of color on a neutral palette. For example, choose bold color choices in a blanket, pillows, and smaller accessories for just a hint a color where you need it. Another great decorating trend is to revamp your old furniture with a fresh coat of paint. It’s amazing how a change in color can make an old piece of furniture look brand new. Using nature in your apartment decorations is super hot this year. Wood, bamboo, stone, and marble are some media to keep in mind if you plan on purchasing new furniture this year. Another great idea to bring nature into your apartment is with accessories. A mason jar filled with seashells looks great on the bathroom countertop or the fireplace mantle. You can also decorate picture frames with unique rocks or these nature-inspired wall decals by WallTAT for a fun take on natural elements. Use your imagination and play up Mother Nature’s beauty. Watch your apartment come to life with interesting patterns and prints! 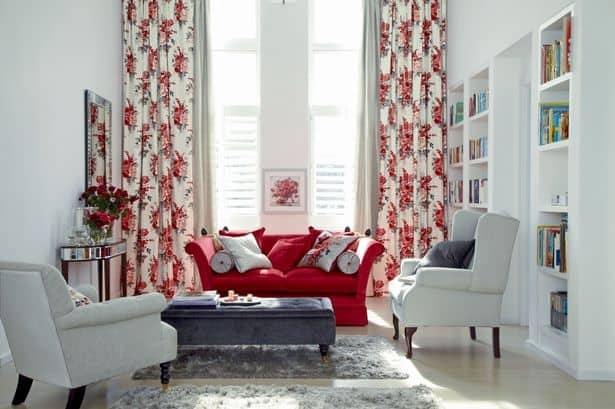 Floral designs that look modern as well as neutral stripes are great for window treatments. Curtains with a simple floral pattern or even a print with animals on it (NOT an animal print!) are perfect for adding a new dimension to any room. Look around for a window treatment that will really tie the room together. It is best to pick out the curtains after the room is nearing decoration completion. A great overall design trend is back! The clean lines and minimalistic dÃ©cor of the 1940’s is showing up in apartments everywhere. Mirrored surfaces, clean lines, and sparse decorations are inspired by the Metropolitan style that many of us adore. Be creative and play with â€˜40’s pieces while still allowing your own eclectic taste to shine through. Enjoy these hot decorating trends for 2013. Your apartment will enjoy the additional TLC and the updated look will be a fresh start for summer. Happy decorating!